Santhi Tadi, Balu Mahendran K.
Background: Hypertension is a major public health problem and key risk factor of coronary artery diseases and other vascular complications. Inflammation plays a major role in endothelial dysfunction, early diagnosis and new therapeutic strategies dramatically declines vascular complications in developing countries. Hence, identification of inflammatory markers might be useful to develop specific therapeutic interventions to treat hypertension and endothelial dysfunction. Objectives: The main objective of present study was to explore interleukin-6 (IL-6) and uric acid levels in newly diagnosed pre-hypertensive and hypertensive cases compared with healthy volunteers and to correlate these levels with sodium and potassium levels. Materials and Methods: A total of 100 hypertensive patients with 35–45 years of the age group were selected (according to the Joint National Committee -8) for this study and 50 healthy volunteer age-matched subjects were selected as controls. Serum IL-6 was assessed by enzyme-linked immunosorbent assay and routine investigations were performed by ERBA EM-360 fully automated analyzer. Results: Serum IL-6 and uric acid levels were significantly increased in pre-hypertensive and hypertensive subjects compared with controls. 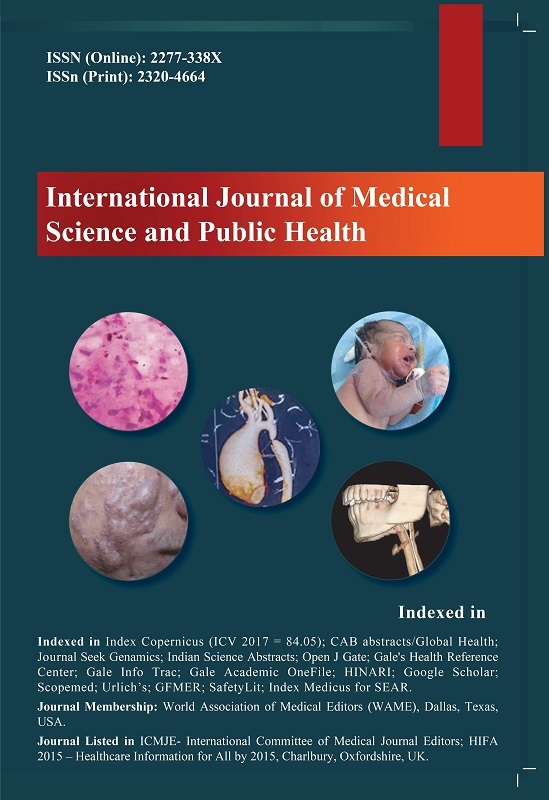 Serum IL-6 and uric acid levels showed a significant positive correlation with body mass index, cholesterol, triglycerides, and sodium levels and negative correlation with potassium levels. Conclusion: Elevated levels of IL-6 and uric acid in pre-hypertension and hypertension indicate low-grade systemic inflammation. Regular monitoring and new specific therapeutic strategies to maintain these levels within normal range might be useful for normal vascular endothelial function and to reduce vascular complications in hypertensive patients.